MUST SEE!!! This beauty has been perfectly preserved and modestly modernized! It still stands rock solid after many decades~with it's period mouldings, soaring ceilings, and picturesque details~the transitions over the years are seamless. The main floor is quite spacious and perfect for entertaining~large living room, family room & huge dining room are all part of the central core. There is a full bath off of the family room~new vanity, cool tile floor and spa-like shower. The eat-in kitchen spans the back of the house~custom butter-glazed cabinets, granite counter tops, tile backsplash and stainless appliances. Upstairs~there 3+ nice sized bedrooms, updated full bath with designer vanity, stylish tile floor & shower/tub combo. The "plus" room could be used for an office, play, sitting or media room. 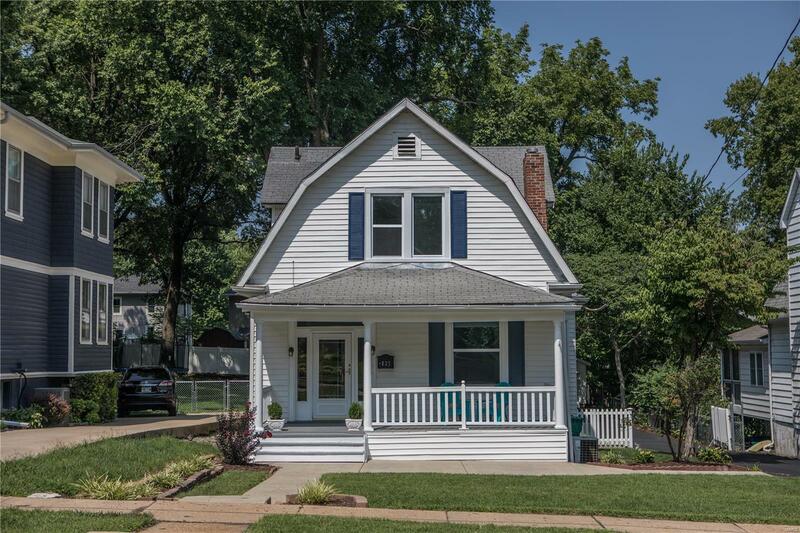 Other highlights to mention~NEW wood floors (main), NEW windows throughout, freshly painted walls, TONS of closets, 2-car garage, large fenced yard! Webster Groves at it's finest!